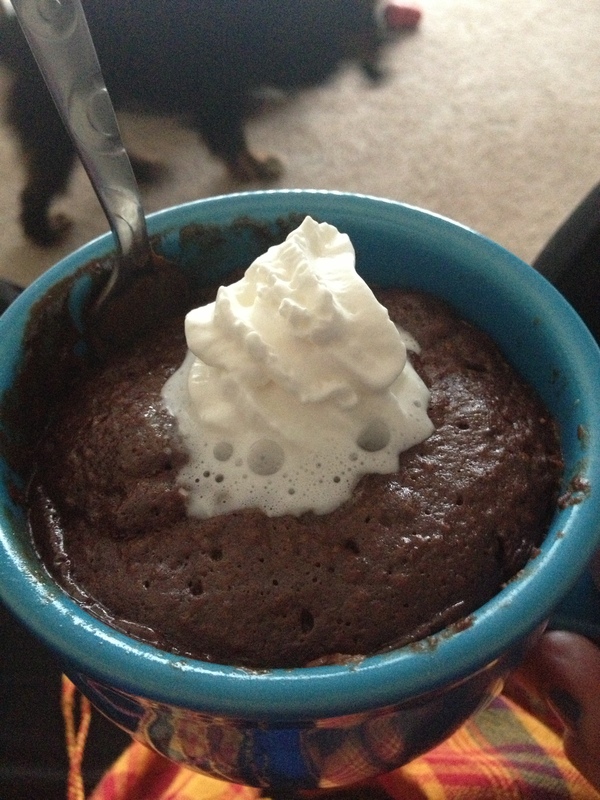 Thanks to Pinterest, I discovered this list of 18 snacks you can cook in a mug, check it out! This is a dangerous, dangerous thing I have discovered and I wanted to share it with all of you. You’re welcome. Husband and I were both craving something chocolatey after dinner tonight, so I decided to whip up the Nutella cake. Holy deliciousness! I can’t believe how easy it was to throw together and how good it turned out after just a minute and a half in the microwave. I have to admit, I’m pretty excited to try these other treats out. 1. Combine all ingredients in a large coffee mug. Whisk well with a fork until smooth.